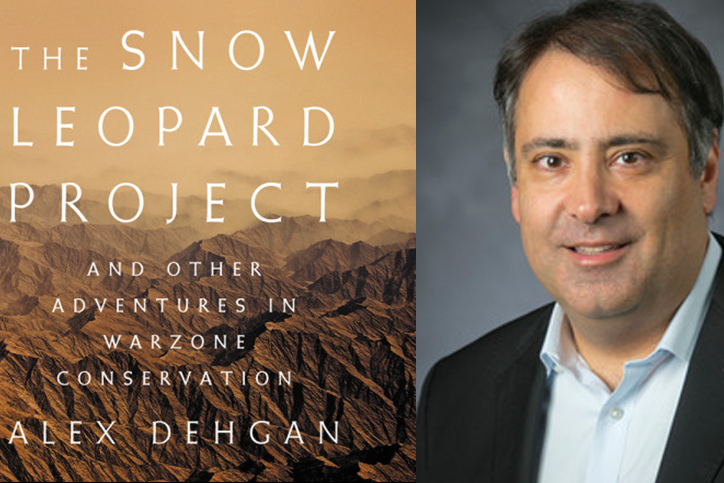 Duke I&E Chanler Innovator in Residence Alex Dehgan has published "The Snow Leopard Project and Other Adventures in Warzone Conservation". On Thursday evening, 2/21, there will be a reading in HCA followed by a reception in the Kirby Reading Room. Open to students, faculty, staff, and local professionals. Postwar Afghanistan is fragile, volatile, and perilous. It is also a place of extraordinary beauty. Evolutionary Biologist Dr. Alex Dehgan arrived in the country in 2006 to build the Wildlife Conservation Society's Afghanistan Program, and preserve and protect Afghanistan's unique and extraordinary environment, which had been decimated after decades of war. This is a story of a warzone startup. Dehgan, a Duke alumnus who is Founder & CEO of Conservation X Labs and Chanler Innovator in Residence at Duke University, will discuss lessons for entrepreneurship and innovation from this effort, while showing spectacular imagery from Afghanistan that never crosses our televisions or computers. The talk will be followed by a book signing and reception in Fuqua's Kirby Reading Room.